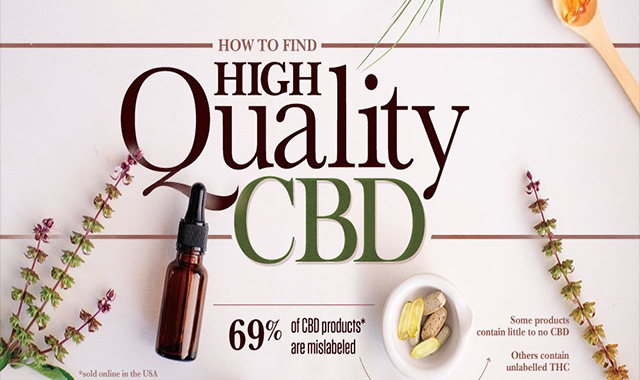 How to find high quality CBD #infographic ~ Visualistan '+g+"
Cannabidiol, or CBD, is a booming business, raking in millions of dollars a year. Used to treat a variety of conditions from anxiety to arthritis, and though it is derived from hemp or marijuana, CBD purchase and usage is legal in all 50 states. But that doesn’t mean all CBD products are created equal. Around 70% of all CBD products are mislabeled ranging from incorrect listing on topical creams to edibles containing unlabeled THC. Find the method of dosage that works for you is just the beginning; as of yet, CBD remains unregulated by the FDA and therefore is not subject to content, labeling, and customer disclosure standards. From storage methods and expiration dates, to state-by-state laws and extraction methods, it can be pretty tricky to navigate the CBD industry. High quality CBD products aren’t hard to find – if you know what to look for. This infographic guides the reader through the CBD market, what ingredients to avoid, and how to find reputable manufacturers.